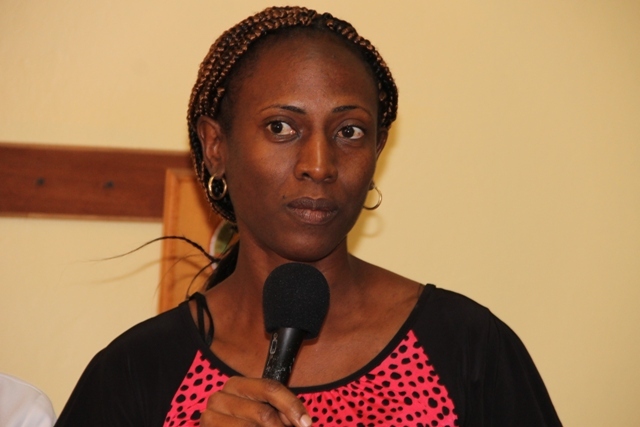 NIA CHARLESTOWN NEVIS (April 14, 2015) – The health sector on Nevis continues to benefit from the benevolence of good corporate citizens on the island. The most recent gift came from the Four Season Home Owners Association of a Selective Laser Trabeculoplasty (SLT) machine for use in the Alexandra Hospital’s Eye care Programme. The handing over ceremony took place on April 10, 2015. 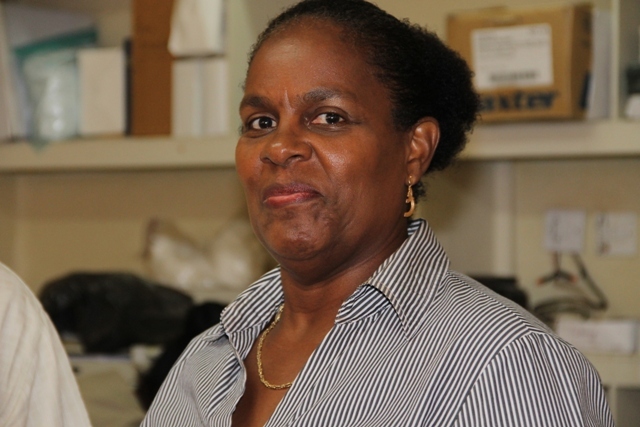 Health Planner in the Ministry of Health Shelisa Martin Clarke, in brief remarks expressed that kind gestures were always welcome. 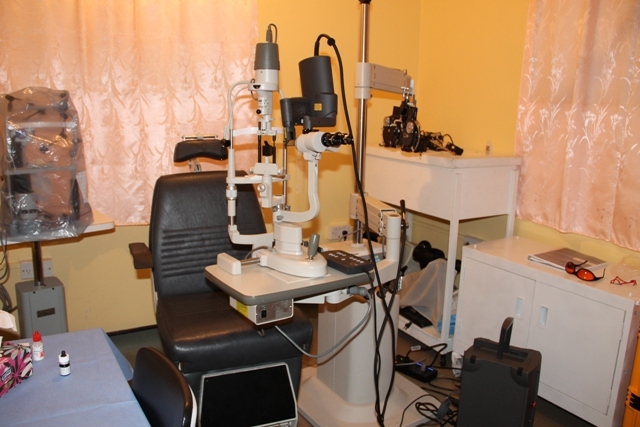 She also stated that the Ministry of Health is assured, that the new piece of equipment will go a long way in assisting to strengthen the health care service delivery for patients with ophthalmic issues on the island. 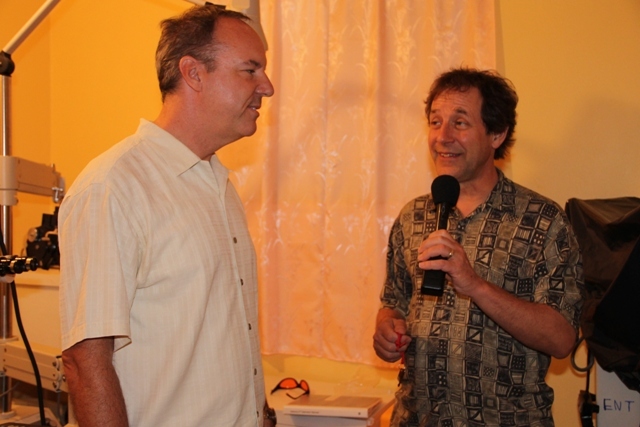 Medical Director of the Nevis Eye Care Program Dr. Raymond Hubbe explained that the SLT machine would help patients to preserve their eyesight. “The SLT laser is used to treat glaucoma and hopefully can help glaucoma patients maintain their vision … this has been shown to be a very safe and effective treatment,” he said. Selective Laser Trabeculoplastyis described as a form of laser surgery used to lower intraocular pressure in glaucoma. It is used when eye drop medicationdoes not lower the eye pressure enough or is the cause of significant side effects. Laser energy is applied to the drainage tissue in the eye. This starts a chemical and biological change in the tissue which results in better drainage of fluid through the drain and out of the eye. This eventually results in lowering fluid pressure inside the eye. It may take 1-3 months for the results to appear. Director of Residence at the Four Seasons Resort Scott Trent shared that he was excited to make the donation to the Alexandra Hospital Eye Clinic on behalf of the Four Seasons Home Owner Association. Meantime, Medical Officer of Health Judy Nisbett thanked the Four Seasons Home Owners Association forthe donation. Shestated that the partnership between the Ministry of Health and the Association showed the interest of the home owners to invest in the health needs on the island. Nisbett also expressed how thankful she was to Dr. Hubbe and his wife Ginger Brent for their continued support to the Nevis Eye Care Program.